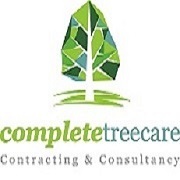 Complete Tree Care Limited - Tree Surgeon based in Isleworth, Middlesex. Established in 2001 Complete Tree Care is a family owned business based in Isleworth, Middlesex with a reputation for providing a high quality service at a competitive price. We are contracted directly to Hounslow council and hold several accreditations including TrustMark. We provide free written quotations and our manager who has a degree in horticulture can provide unbiased advice on what is best for your tree(s). If planning consent is required, we will obtain approval at no additional cost. We hold a £10 of million public liability insurance policy and £5 million of professional indemnity insurance. Our staff are NPTC qualified, experienced and friendly.